Telefon Pa Hubentud is an independent charity that serves as an Aruban Youth Telephone Line. With a distinctive telephone number ’131,’ they aim to help children and youngsters from 8-24 years old and provide their services from 14.00 hours to 18.00 hours, 365 days a year. According to Article 1 of the Convention on the Rights of the Child, you are a child if you are not yet 18 years old. In everyday speech, people speak of children being up to the age of 12 – 14 and the target group of Telefon pa Hubentud is from 8 to 24 years. This means that both children and youngsters reach out to Telefon pa Hubentud every day and of all the contacts with Telefon pa Hubentud, 33.7% are children. In this section you will find information meant for children up to 12 years. At Telefon pa Hubentud we get a lot of questions from youngsters who call us about bullying. It is an issue that causes many problems worldwide. According to Article 1 of the Convention on the Rights of the Child, you are a child if you are not yet 18 years old. In everyday speech, people speak of children being up to the age of 12 – 14, and thereafter to 24 of ‘teen’ or ‘adolescent’ and the target group of Telefon pa Hubentud is from 8 to 24 years. 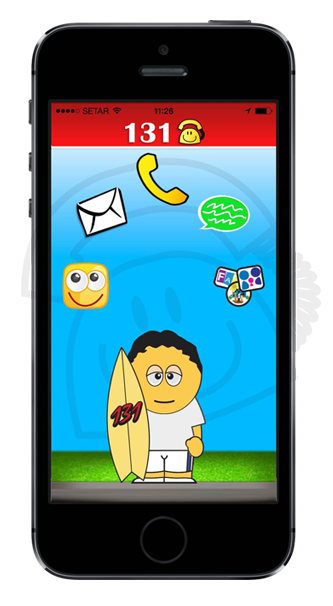 This means that both children and youngsters reach out to Telefon pa Hubentud every day. A large number of adolescents reach out every day to Telefon pa Hubentud and in developmental psychology they don’t speak any longer of teens but of adolescents and adolescence. In this section you will find information meant for teens or adolescents up to 24 years. Communication with parents is a subject that has become very popular at Fundacion Telefon Pa Hubentud Aruba. Internet is a place where a lot of information can be found. Youngsters use it a lot. As a child you like to play games, read, watch movies and keep in touch with friends on the internet.